Kitchen Scrubbies are a great alternative to non-recyclable foam sponges. 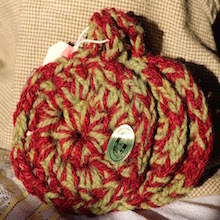 Made from wool and/or cotton they are totally degradable after use. These scrubbies get denser as you use them as the hot water shrinks the cotton. Throw in the laundry to clean and reuse. Sold by the scrubby or in groups of three. 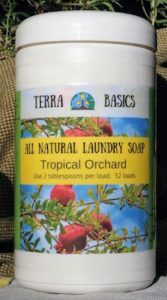 Terra Basics laundry soap is made from basic ingredients that your grandmother used, including tallow soap. Safe to use in top and front loading machines. Available in three scents. 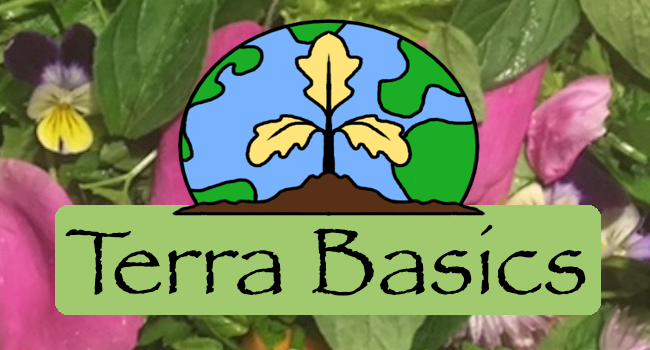 All scents are from essential oils. Flower Garden, Tropical Orchard or Vintage Wardrobe.